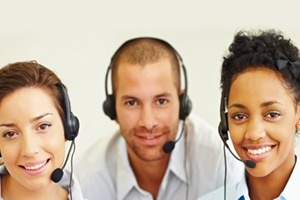 Global Help Desk Services provides help desk outsourcing services to enterprise-sized companies. That is 100% of our focus. Help Desk Outsourcing. That’s what we do. Your outsourced help desk will give you the freedom to focus on your core competencies while giving your employees or customers a pleasant, satisfying help desk experience. We'll show you how you can save money each year through help desk outsourcing while providing world class help desk support to your employees or customers. If you are an IT leader from an enterprise-sized company looking for guaranteed service levels for your help desk outsourcing, technical support, or customer service needs, our help desk outsourcing service can give you that and more. Our people, processes and technology give you the information to identify trends and anticipate training needs, increase responsiveness to your internal (or external) customers, and ultimately help you secure the reputation of providing quality help desk outsourcing service to those you service every day. When you partner with Global Help Desk Services, you gain a partner recognized by the Help Desk Institute as a leader in the help desk outsourcing industry. Our state of the art technology and predictable, repeatable workflow processes will lead to distinct improvement in customer satisfaction levels. Give us a call today and let us help you identify your needs to build a help desk outsource solution that will delight your employees or customers and allow you to gain a competitive advantage in the marketplace. Global Help Desk Services shows continued commitment to always improving and finding more ways to partner together. They are very flexible in helping us meet our needs. I’m enjoying working with Global Help Desk Services very much. They’re easy to contact, and whenever I have requests I get quick feedback. They proactively review all of our tickets to try to find more areas where they’re able to resolve issues as the first line. They’re coming back to us with that information so we can increase the number of calls that they’re able to take care of. 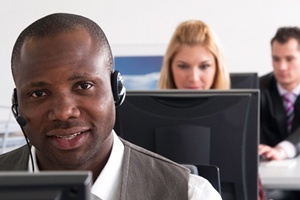 They’re definitely working to turn around the perception of the previously outsourced call center, which is a huge accomplishment with our environment. I like that they stay plugged in with what’s going on in our environment and try to offer suggestions to wherever they can help improve processes that we have and take more off our plate. I really like their proactive approach. There is a lot of value in Global Help Desk Services’ ability to receive the customer call and satisfy the call without having to escalate to any of the support teams. Global Help Desk Services, Inc. provides help desk outsourcing services with guaranteed service levels to enterprise-sized companies. 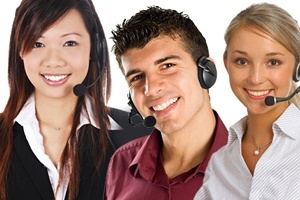 Global Help Desk Services, Inc.